All welcome!! Come and join other open water swimmers preparing for VOWSA’s swim series. 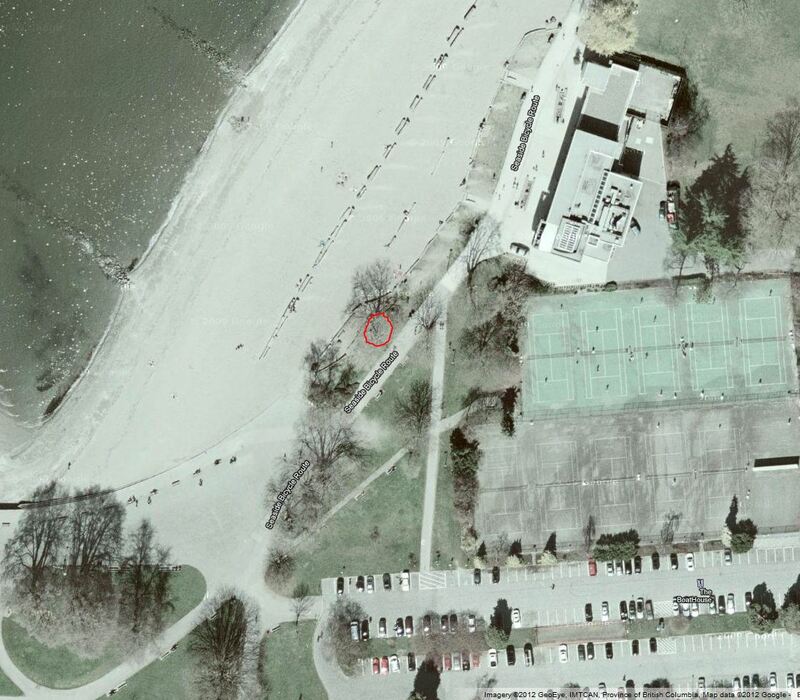 These practices at Kitsilano Beach are perfect opportunities to meet new people and familiarize yourself with the challenges and fun that await you in the open water. Whether you are a seasoned open water swimmer, regular pool swimmer, triathlete or just enjoy the water, come try it out. You should be comfortable swimming 1 km in a pool. Our practice swims offer an opportunity to swim with many others on a marked course inside of the powerboat exclusion zone at beautiful Kitsilano Beach. A safety briefing is provided at the beginning of each swim and lifeguards are on the water and the beach specifically watching out for us. All swimmers sign-in at the registration table prior to the safety briefing and most importantly must remember to SIGN-OUT immediately upon finishing their swim. This is for your safety so we can confirm all swimmers going into the water made it out safely. Water temperature in English Bay varies over the season from about 14C at the start of June up to a high of 20C near the end of August. Upwellings of colder water around the course can be refreshing on a hot day, but we do advise wearing a wetsuit both for warmth and flotation. Our practice swims often require assistance from volunteers. We depend on swimmers like YOU to help keep these practices running! Please consider volunteering for at least one practice swim during the season. Even better to do it as a team! Bring a friend and give back to your fellow swimmers. Volunteering at the Practice Swims involves setting up the registration table, ensuring all swimmers sign-in, moving the registration table down to beach and ensuring all swimmers sign-out; our volunteer coordinator and the lifeguards do the rest. Not a bad gig to hang out at Kits Beach on a summer evening! You can contact our volunteer coordinator at volunteercord “at” vowsa.bc.ca for more information! 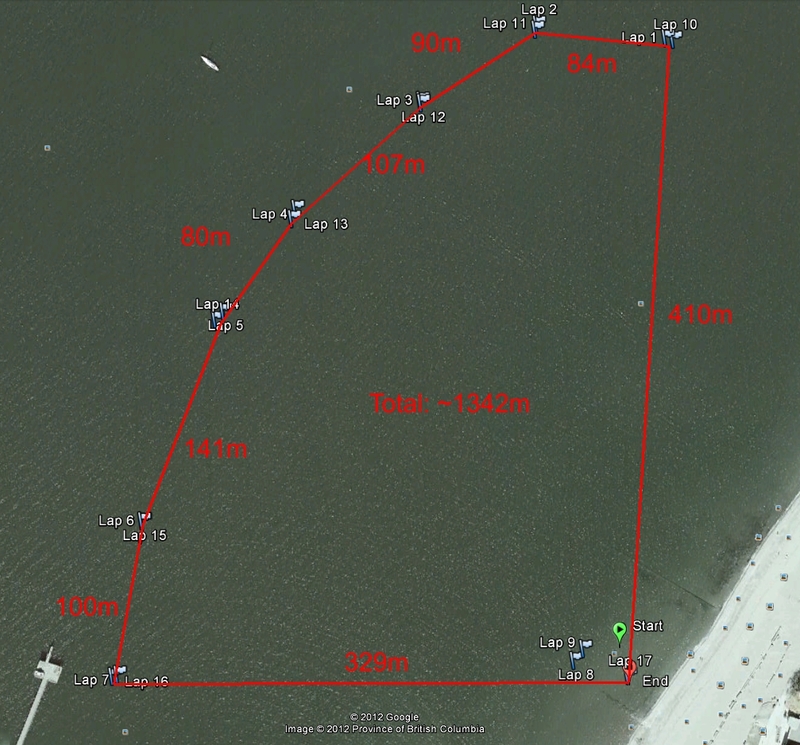 The swim course circles Kits Bay inside of the powerboat exclusion zone and averages 1.3-1.5 km for the full circuit. A map of the approximate course is available here; though movement of buoys due to tides and snags will alter the course over the season. Swims start at 6:30 pm; VOWSA lifeguard supervision from 6:30 pm – 8:00 pm. You should be comfortable swimming 1000 metres (40 laps in a 25m pool) and have all the recommended safety items. Wetsuits are not mandatory for practice swims (though most people wear one), but you must inform the VOWSA practice supervisors that you plan to swim without a wetsuit when you sign in for practice. *You can complete a waiver at the beach, but bringing your own will save us time. Please bring proof of registration to collect at your first practice swim. Please note all credit card payment transactions include a 2.9% surcharge plus a fixed fee of CAD 0.30 for credit card processing. Change rooms, washrooms, cold outdoor showers (! ), concession stand, pay parking lot (very limited free on-street parking). We do not have a volunteer to watch your gear while you swim, so prepare to secure valuables. Don’t have a wetsuit? Talk to Team Aquatic Supplies about trying out or buying an Aquasphere wetsuit. They are located at 107 – 2120 Dollarton Highway in North Vancouver. You can also visit them to find a great selection of swim caps, goggles, swim suits and other swimming accessories. You can contact them at (604) 770-3641. Please mention you heard of them through VOWSA.